Just when you think every classic hardware synth has already been emulated by the freeware community, along comes another virtual version of a classic, this time from Korg, On top of that, there's a whole new series of FX freebies, too. Korg's Mono/Poly was a big hit among synth heads in the early '80s, and that's the instrument that inspired the creation of this one. It promises to offer "close emulation of behaviour and all controls," and the developer also reckons that it's light on CPU usage. 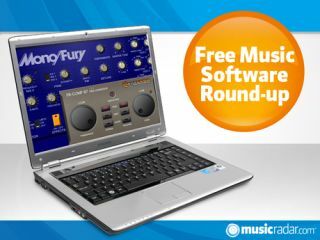 Not just a new free plug-in, but a new series of free plug-ins. The FREE87 range currently contains a compressor with integrated brickwall limiter, a gate, a 1-band parametric EQ and a brickwall limiter, and all have very simple interfaces.